2. Brainstorm new ideas for the blog. This didn't happen because I was super busy. 3. Have a green smoothie every day. I did it! Breakfast every day. 1. Complete Week 3 of the BBG. Still going to keep putting it in writing. 2. Read another John Green book. Because I'm in the mood for a John Green book (and I guess crying). 3. Pass my Spanish interview. Ugh. Struggle bus. 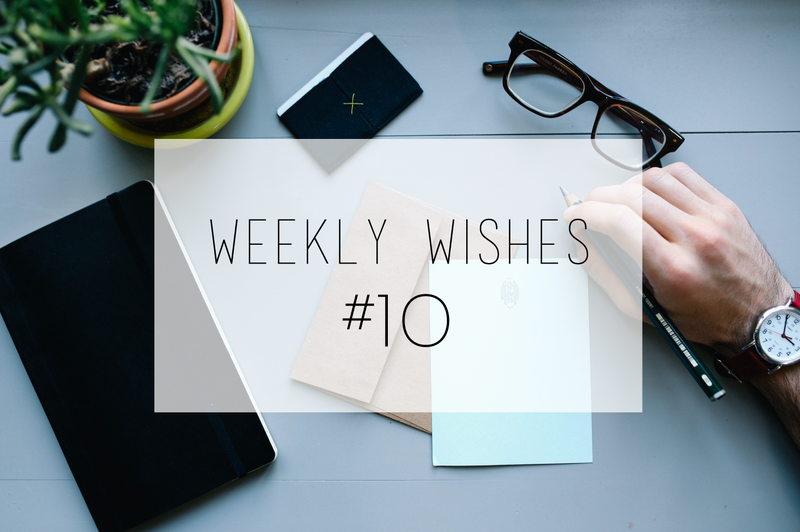 Good luck for this week's wishes. Good luck with your goals this week. This time of year is so busy and hard to fit in work outs. Thanks! And I'll definitely have to find that book, lol. I probably should make a post about smoothies since I mention them so much. Ha! My favorite simple one has spinach, almond milk and banana. I'll post the full recipe soon! I'm thinking about going a third time, lol. Paper Towns is on my list of books to get! I know that's the next one they're making into a movie, so I have to read it first. Looking forward to the post :) thanks!